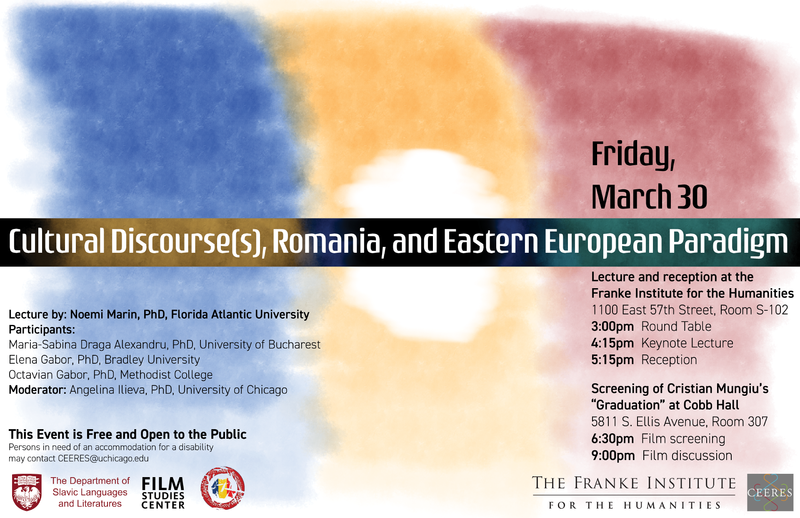 On Friday, March 30, “Cultural Discourse(s), Romania, and Eastern European Paradigm” will examine East European cultural and political discourse, as well as the most important trends in the contributions of Romanian intellectuals, artists, and academics in the contemporary global space of ideas. 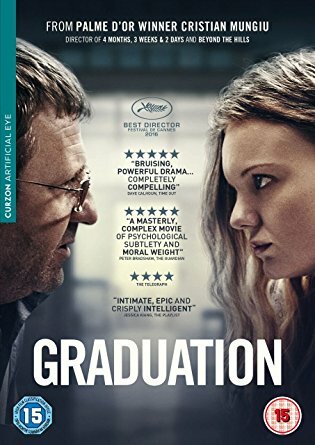 As part of this event, we will be screening the most recent film by Cristian Mungiu, Graduation. The film is about a father driven to extremes in order to protect his daughter’s future. 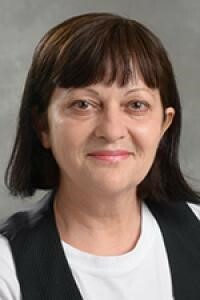 Lenuta Giukin is a professor in the Department of Modern Languages and Literatures at SUNY Oswego University in New York. She is editor and contributor to the collection Small Cinemas in Global Markets: Genres, Identities, Narratives. Professor Giukin agreed to answer a few questions to help provide context for the Romanian New Wave and Mungiu’s place in that movement. The event is sponsored by CEERES, the Romanian Studies Association of America, the Department of Slavic Languages and Literatures, the Franke Institute for Humanities, and the Film Study Center. You can find more information about Friday’s event on the CEERES webpage. The interview was conducted through email and has only been edited for clarity. What is the Romanian New Wave (RNW)? Many of the directors claimed they did not belong to a movement, or a wave, but worked independently. Can we speak of a RNW then? Is the RNW an invention of the movie critics, or do the directors and the films usually associated with this RNW share features despite their claims to independence? The RNW is not a movement, if we are to consider its directors’ standing on the matter. Their filmmaking practices however come as an opposing “reaction” to the established socialist tradition, both in content and form. As a result, their films express a preference for social debate, problematic characters, reflection on past and/or present events and their impact, aspects that may give an overall impression of unity of intention. These common preoccupations emphasize their belonging to a generation that lived thru similar events and shares similar concerns. Unlike the French New Wave directors, whose members knew each other, exchanged ideas and wrote/published critical essays before getting involved in filmmaking, the post-communist Romanian filmmakers have different educational backgrounds and did not engage in intellectual debates in the same terms. They come from different cities and (film) schools, engaged independently in filmmaking, and only later, after becoming known for their work, some of them started to collaborate on films. In spite of their reluctance to be called a “movement,” a term that implies a group engaged in common practices and ideas, the phenomena can be considered a generational movement whose common preoccupations and ideological views create, despite lack of coordination or cooperation, a closely related social perspective. When did it begin? Are there specific themes or techniques that define this period of Romanian film? The first signs of a new cinema came with Staff and Dough (Cristi Puiu, 2001), screened for the Directors’ Fortnight at the Cannes Film Festival. No one could get at the time a clear sense of what it represented, but its novelty, in terms of style, language and content, was evident. Other films were noticed and even won prizes at Berlin and Cannes the following years, but only after The Death of Mr. Lazarescu (Cristi Puiu, 2005) and 12:08 East of Bucharest (Corneliu Porumboiu, 2006) earned top prizes at Cannes, film critics realized something new was in place. By 2007, when Four Months, Three Weeks and Two days (Cristian Mungiu) won the Palm d’Or, a new wave was acknowledged, although, considering the small size of the Romanian film industry, many doubted it had a future. The new cinema became a film festival sensation abroad, while in Romania it remained largely unrecognized until its international success finally led to national appreciation. Understandably, the themes that dealt with the lower depths of the former socialist regime or the insecurities of post-socialist times appealed little to a Romanian public caught in the new anxieties of European and global transformations. The minimalistic style (also a consequence of lack of sophisticated equipment/filming conditions), powerful cinema-vérité approach, dramatic characters caught in ill-fated destinies, bleak overall tones, and an overwhelming feeling of disorientation brought to international attention an artistic product that testified to the traumatic state of mind endured by a nation for almost half a century behind the iron curtain. It was especially the tragic destinies that shocked and impressed international audiences. The new Romanian cinema could therefore be considered a wave due to its cumulative testimony on a nation’s cultural and ideological transformation. In spite of some of the directors’ reluctance to admit an ideological position, its narrative is not simply a conventional or artistic statement; it is a mirror of events, an extension of reality that claims the status of testimony while reflecting a complex view and critique of the nation, people and events. What, if any, connection does the Romanian New Wave have to the French, British, Italian or Czechoslovak New Waves of the 1950’s and 60’s? Are there specific trends in Romanian or international cinema that this new wave is reacting to? European new waves of the 50s and 60s came all as reactions to previous practices and representations. Focused on the idea of realism, they were informed by local cultural/filmic traditions, but also influenced each other across frontiers, in a pan-European dialog. These European new waves shared traits such as location filming, natural lights, handheld camera, non-professional actors (Czech cinema directors benefited though from sophisticated studios and equipment) and contemporary-event plots, just to mention some semblances with the Romanian new wave. In post-socialist Romania, some of the ‘new wave’ filming practices were imposed by the austere economic and financial conditions. Young directors had few chances in an industry where the limited funds went to a favored elite and where innovation had little place. The first new wave filmmakers (Cristi Puiu,Cristian Mungiu, Catalin Mitulescu, Corneliu Porumboiu, Radu Muntean, Cristian Nemescu) grew up in an educational environment sanitized of foreign (artistic) products. After 1989 (when socialist censorship ended), there was little time and limited conditions for the new generations to study in a structured, rigorous manner foreign artistic trends or to practice film criticism as the French and British new wave directors did. The Romanian new wave’s similarities to earlier European new waves can therefore be safely traced to austere economic practices of filmmaking, a rejection of national outdated filmmaking and the refusal of involvement with politics. However, similar to other new waves, the Romanian new wave focused on the everyday individual and the world of the working classes and families. What sets the Romanian new cinema apart is a deliberate slow pace, lack of (non)diegetic music, severe view obstruction through limiting camera angles, and a total lack of cinematic references (so often used by the French New Wave and other European filmmakers). Romanian new cinema came as a surprise because it did not get inspiration from any other style of filmmaking in any recognizable manner. It was a radical filmmaking whose minimalistic approach made unexpectedly strong statements. Many in most post-socialist countries were waiting for the literary and cinematic articulation of the socialist and post-socialist experience. What made possible this burst of creative energy in Romania at a time when the economy, along with the state movie industry, had collapsed? The underground ‘passive resistance’ that developed against the socialist regime circulated mostly via literary works. Film and television could be closely censured since visual materials were produced in smaller quantities and proved easier to control. In addition, the Romanian national film school and the film industry were products of the former socialist government; as a result, film practices maintained the same style and nationalistic rhetoric. Romania did not have an organized film industry prior to WWII, or any other prominent film movement (such as in the Czech or Polish film industries) to which it could return as a model of renewal or performance. The new filmmakers, some of whom benefited from learning abroad (such as Cristi Puiu) or who were trained in a system no longer ideologically censured, simply gave voice to long repressed feelings and opinions. Although the nation was ideologically ready for a change, it was and still is a nation very much on the left and very much concerned with transformations. In many ways, this new discourse developed around the ‘wrong’ and the ‘right’ way of being on the left. The complex socio-political context of a country at crossroads (from every possible perspective – political, economic, cultural) proved to be a rich inspirational pool of ideas. And while in the West, the ‘new’ films quickly revealed their novelty, their discourse may have been perceived not as new at home because it was a left type of discourse in a leftist society. Since the new cinema is a social-psychological cinema, the answer – how thing should be – to its critical content was already included in the idealist rhetoric of the nation. It took some time to accept (rather than to understand), that the new cinema acted as a magnifying mirror, as an inviting debate on present things to address and/or revise. Accepting the new cinema at home was important for its continuity. This new wave could have not sustained its creative burst as a discourse parallel to or on the margins of the nation. The maintenance of the new wave’s creative burst resides therefore in its continuous involvement with the society and its transformation and its critical role as witness of the events. Cristian Mungiu is best known for his treatment of Romanian life after the Decree forbidding abortion in his 2007 film 4 Months, 3 Weeks, and 2 Days. What is Cristian Mungiu’s place in the Romanian New Wave? Cristian Mungiu is probably the best known director of the Romanian new wave despite the fact that Cristi Puiu opened the doors to international affirmation with Stuff and Dough and especially The Death of Mr. Lazarescu (2005). His first long feature West (Occident, 2002) received some nominations at Cannes, but the Palme d’Or for 4 Months, 3 Weeks and 2 Days (2007), as well as numerous other international prizes for the same film, brought him international recognition. Ever since, he has been present at Cannes where he won prizes for every one of his films (Tales from the Golden Age, 2009; Beyond the Hill, 2012; Graduation, 2016) and was part of the official competition jury in 2013. One of the most consistent auteur directors in contemporary cinema, he brings to screen a very personal style and treatment of subject matter in the Romanian film industry. Although he focuses on controversial themes, such as the consequences of abortion interdiction, religious practices with negative outcomes or corruptive interventions in national examinations, his compassionate approach and the matter presentation in a complex light made him a recognizable master of film. While avoiding judgmental approaches, as well as simplistic or utopian solutions, Mungiu manages to highlight the extreme complexity of life, the intricate social relationships, as well as the difficulties of dealing with reality in black and white terms. His characters face no-exit situations, struggle with frustration or lack of acceptable alternatives, or contemplate existence unable to change it. In this kind of world, one can be justified in his/her choices, and yet one can be wrong. This cinema of deception opens nonetheless avenues to reflection on individual and collective action, and especially the aspects of ideology and identity. For Mungiu, the microcosm of the everyday individual is always in relationship with the larger social body, it is a symptom of overall social (dis)order or (mal)function. What makes him, from this perspective, a remarkable director is his ability to represent complex social and psychological narratives within apparently neutral ideological frames. His view of reality is therefore that of an intellectual who displays his arguments in a benign manner, while retaining the privilege to discreetly place on a leftist position of deliberation. How does his most recent film, Graduation, fit into his oeuvre? Graduation approaches another controversial aspect in the Romanian society: the involvement of parents in the national high-school graduation exams. The pressures to know the examination subjects ahead of time, in order to secure high grades and top university admission (for government funding of undergraduate studies), lead every year to public scandals due to corruption. Mungiu makes the matters a lot more complex by placing his main protagonist, a father, in the position of an honest, patriotic individual who, disappointed with the social realities of his country, wants to save his daughter from a destiny similar to his own. His determination to change her examination grades bring him back to corruption practices and a personal ideological dilemma he believed left behind forever. Under strong emotional pressures his world collapses, he gradually loses his closest people’s confidence and ultimately, he puts in danger his own career. The tragic destiny of the father, as figure of authority, is generated by lack of belief in the future: the nation does not appear sufficiently secure and promissory since the expected changes did not take place as fast as he hoped. In his haste to create that better future for his daughter, this father generates a number of actions which contribute to social regression and to transforming the social landscape into a world opposed to his own ideals. Mungiu’s personal beliefs in a better future for the nation are revealed not only through the daughter, who refuses to cheat for a better grade, and the honest work of security agents, but also through the father’s apologetic attitude and his ultimate decision to accept responsibility for his actions. If in West (2002) Mungiu did not express a distinct view on the issue of leaving one’s country, in Graduation he makes a clear statement in favor of collective responsible efforts toward the future. In this respect, Graduation is Mungiu’s most optimistic film in spite of the tragic events: one cannot feel but pity for the confused father whose actions bring his own downfall. Yet, his decision to help justice promises to reinstate some much desired order and security. What films would you recommend to our audience if they want to get a taste of the important Romanian New Wave? Do you have any book recommendations for people interested in learning more about Romanian film and culture? Filimon, Monica. Cristi Puiu. Urbana-Champaign: University of Illinois Press, 2017. Pop, Doru. Romanian New Wave Cinema: An Introduction. Jefferson, NC: McFarland and Company Inc., Publishers, 2014. Film Criticism: New Romanian Cinema. Vol 24, No. 2/3 (Winter/Spring 2010).